Christmas in the mountains is all about the festivities, the sparkling fairy lights that adorn the streets and windows, the smell of raclette and roasting chestnuts that fills the air, the delight of relaxing by the fire, glühwein in hand. Those travelling to Flims, Switzerland during the festive season have a real treat in store with loads of festive fun. Everything's possible with Powder Byrne, so whatever it is that will make Christmas more special or memorable for your family, we will make it happen. Be it a walk in the snow-tipped forest while enjoying mulled wine and hot chocolate, a sleigh ride through the wonderful Flimserwald forest to Restaurant Conn for a meal or drink overlooking the lake or a visit to the Christmas market where carol singers complete the festive atmosphere. A very special Christmas lunch is in store on the ski slopes with all the bells and whistles, and a visit from Santa on skis, with his big sack of gifts for the kids, is always a huge hit! For families staying in one of our Powder Byrne Properties apartments, we choose an especially beautiful Christmas tree and set it up in your living room before your arrival so the kids can get creative with the lovely decorations... and then the exciting moment of placing the angel on her perch and turning on the fairy lights. Light your fireplace and place your gifts beneath the tree (we'll forward them to the resort for you, if you wish) - it will feel like Christmas has really arrived. If your idea of a perfect Christmas is a cosy meal at home, let our Private Chef spoil you with a delicious meal in your apartment, including all your favourite tastes. Besides all the festivities in Flims over Christmas, there's another reason we love the area for Christmas skiing. 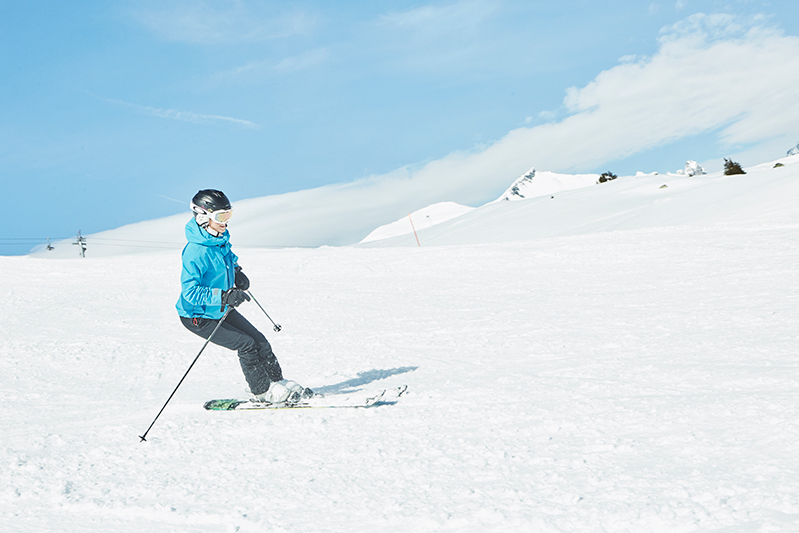 We've experienced all types of winter weather over the years during Christmas but in Flims one thing is for sure, you will enjoy the expansive slopes irrespective of the weather. Because most of the ski runs are above 2,000m, including the impressive Vorab Glacier, and the snow-making facilities are immense, skiers enjoy top quality snow all winter. When you are not exploring the extensive skiing, there's plenty to keep you entertained from star gazing at the Mirasteilas observatory and learning about the fascinating megalithic site Parc la Mutta, to a tour of the local brewery, ice-skating and curling. Kids (and parents too) will love action-packed activities like go-carting, a trip to the freestyle academy and indoor rock climbing. 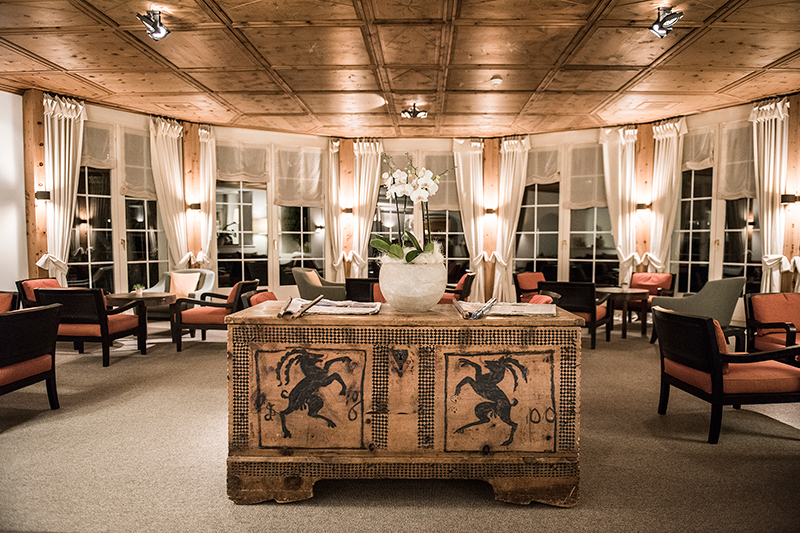 Flims is well-known for its exceptional spas, so if you're after some wellness and relaxation you'll be spoilt. We'll be on hand to give advice on the best activities for your family, to make bookings for you and transport you in our Powder Byrne shuttles. Your kids will be in expert hands in our children's programmes so you can relax with total peace of mind. Prices from £7,460 for a family of four at the Hotel Adula on bed and breakfast or from £9,725 for a family of four in a luxury apartment at Casa Fortuna from 22nd to 29th December including flights, luxury transfers and full Powder Byrne in-resort service. Contact us today to secure your Christmas treat as space is limited and in high demand. Call 020 8246 5300 or click here.